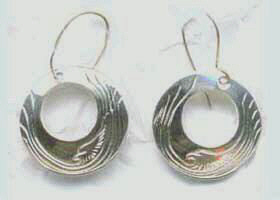 Silver Earrings – Hand crafted and engraved. 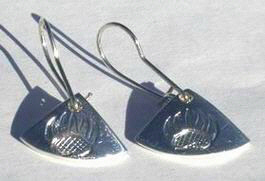 Unique silver or gold studs, teardrop shape, custom shape , dangles or shepherds hooks. 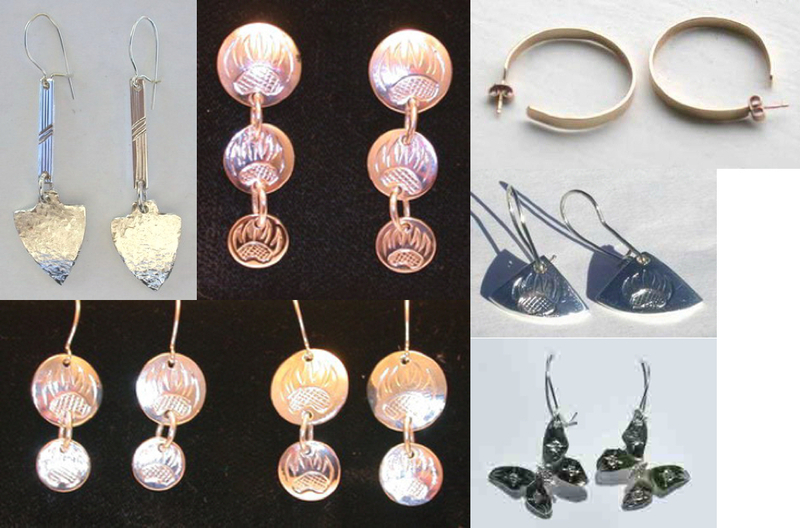 Gem stones available, such as diamonds, ruby, sapphire peridot, opals and more. Many studs for pierced ears. For the native tribes of North America, the deer was a messenger, an animal of power, and a totem representing sensitivity, intuition and gentleness. … There is a Cherokee legend that tells how the deer procured its antlers after winning a race against a rabbit. American Indians have used fetishes throughout recorded history. Fetishes are believed to hold magical powers and protect the owner or craftsmen from various problems of mind or body. Some believe that their mystical powers can even protect against problems of the universe. 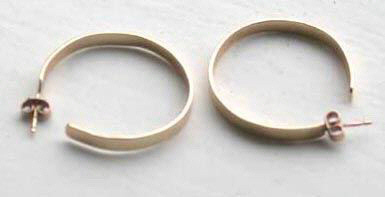 It is also believed that the care a fetish receives is directly proportional to the protection it will provide. 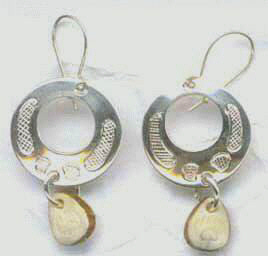 We can date the hoop earring all the way back to ancient Greece and Rome. 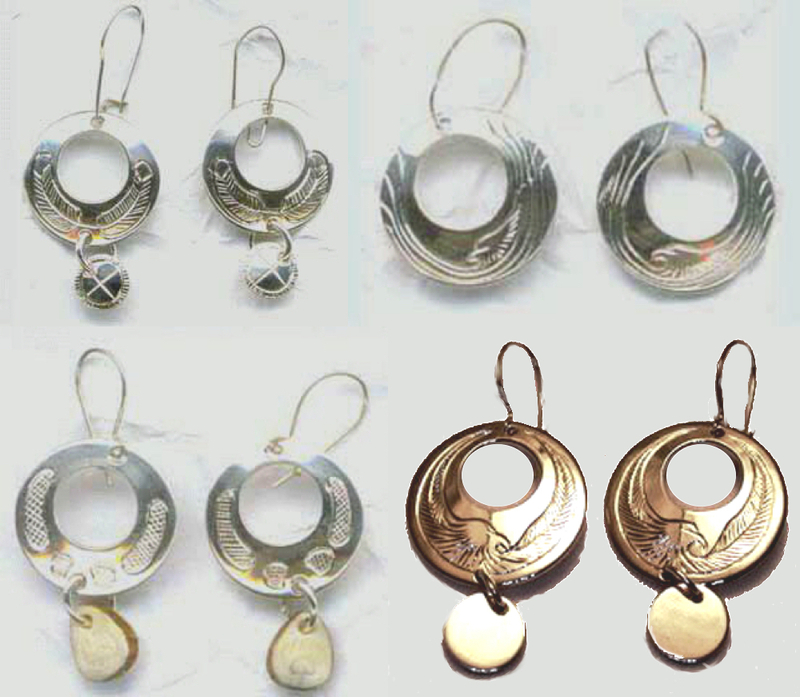 The lifecycle of this particular style of earring has made its way around many cities and varying cultures. 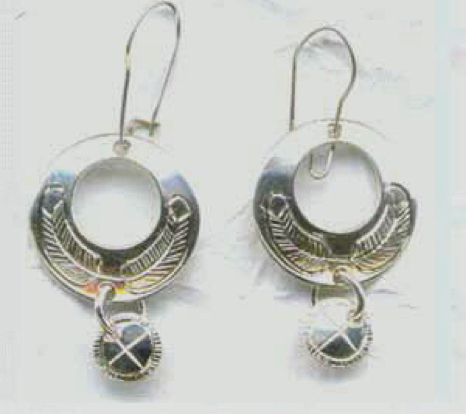 The very first hoop earrings can been followed back to the Sumerian culture (which we now know as Iraq). The symbol signifies transformation as the ugly caterpillar changes into the beautiful butterfly. 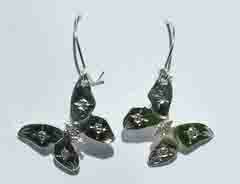 The butterfly is also believed to be a messenger from the spirit world. … According to Native American legends and myths of some tribes the Butterfly played a part in their Creation myth. 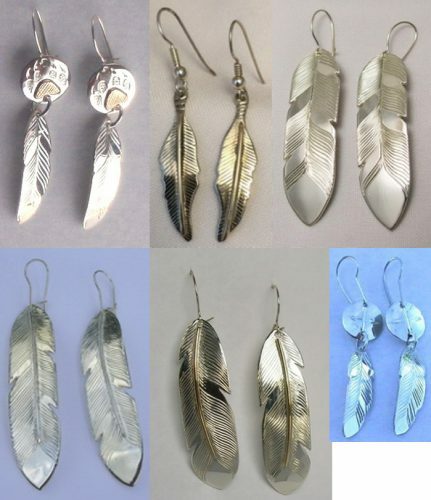 - sizes are: 4mm - 5mm - 5/16" - 3/8 " - 7/16 and 1/2"